Huzifa Mousa of Eritrea receives the Golden Ball Award from tournament manager Abdullah Sultan. 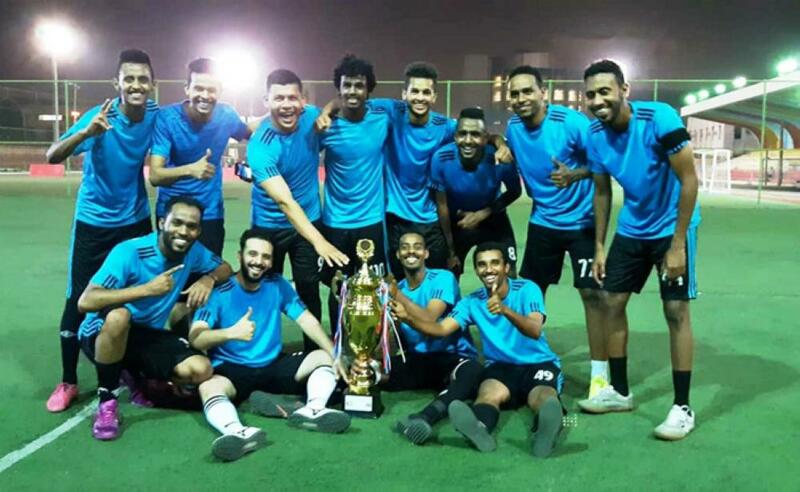 JEDDAH — Eritrea FC emerged champion of the first Western Union and Ersal Football Tournament, organized by Filipino football enthusiasts at Sports Village in Al-Salamah District here. The two-Friday tournament was sponsored by the Western Union and Ersal Money Transfers through Raul Austria and was managed by the Matampay United Football Club, led by Zaid Basher and Abdullah Sultan. Matampay club conducted this event to encourage Filipinos to join its football programs in Saudi Arabia. 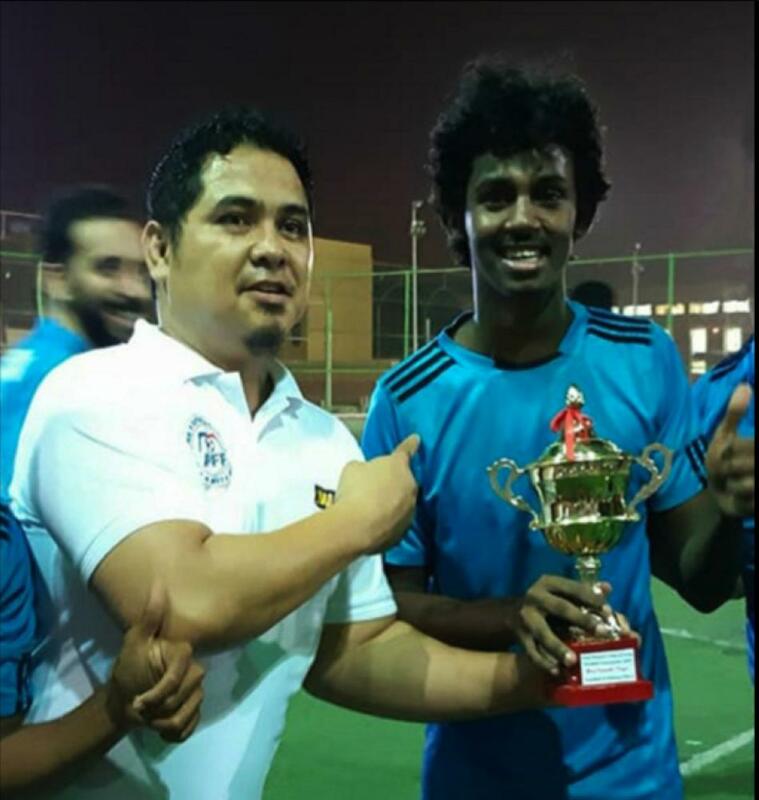 Eritrean and Almarai teams, who topped the points table among 10 teams which participated in the event, entered the final. Eritrean team was declared the winner as the rival failed to show up for the final. The champion team beat the tournament committee team in an exhibition match played on the final day. The Golden Ball award went to Huzifa Mousa of Eritrean team, while his teammate Ahmed Ali won the Best Goalkeeper award. The teams participated were: The Philippines football team (managed by Jessie Carreon), Eritrea FC-1 (Mousa Nour), Eritrea FC-2 (Adem Abdilla), Syrian team (Abdulrahman Asfar), United Stars FC (Pakistan, managed by Yasir Latif), Yemen team (Faisal Al-Amoudi), Lightening team (Egyptian, managed by Massoud), Rawdah FC (Indonesia, managed by Sudi) and Perjaka FC (Indonesia, managed by Frenki) and Almarai (Ibrahim Al-Shiekhi). The tournament committee did not charge any entry fee and lot of gifts and give-aways were distributed to spectators, including five units of Lenovo A-Plus mobile phones by the Western Union and The Ersal Money Transfers.